The continuing the work of OMF member Dan Smith, Physicist, Philosopher, & Eschatologist, on his BPW hypothesis. 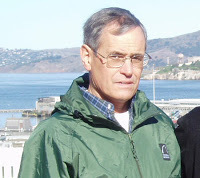 Author of Best Possible World Hypothesis - Philosophical Implications of Disclosure. Is it the end of the world as we know it'? GARZPARZ: Morality is a just a shadow of right action. Right action isn’t the highest degree of morality any more than agapè is the highest degree of love. When you understand and are able to act from right action, morality is no longer necessary; it’s instantly obsolete and discarded. This is at the heart of the Bhagavad Gita. Arjuna, as a moral creature, throws down his weapon and refuses to launch a war. As he, I threw my arms down and refused to fight. 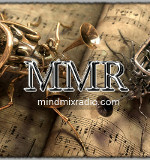 MIND MIX RADIO - talk, music, research presentations, readings, interviews, and much more. An internet based micro-radio station playing host to paradigm talk radio and music featuring talk radio hosts and subject material of interest to the paradigm awake and aware. LIVE 24-7. Listen in Firefox. 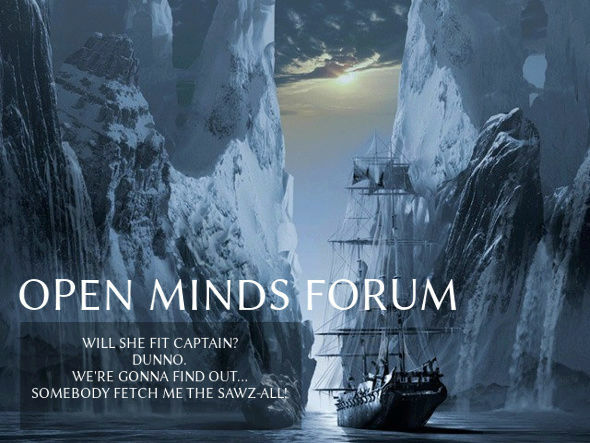 Prepared reports on the diverse subject matter Open Minds Forum Covers, along with information about the OMF organization. These reports will be displayed on the forum portal. Location for posting notices and copies of press releases detailing public events in the various subjects OMF covers. Board containing information about researching, research tools, how to, industry happenings, publishing, researcher bios, the technical side of research activities, information verification standards, etc. Follow a Bardic Crow on a journey through Wonderland. Explore with him the evolution of our paradigm through the elements of our manifest creation, spiritual insight, and a sense of our sacred connectivity as we rise to the questions of what it is to be human and humane during the great crossing through the event horizon. Open Minds Forum members individual Blogs. - User lead - it's your place in cyber-space! Quote by Steve Jobs, Apple CEO, RIP. "Here’s to the crazy ones, the misfits, the rebels, the troublemakers, the round pegs in the square holes… the ones who see things differently — they’re not fond of rules… You can quote them, disagree with them, glorify or vilify them, but the only thing you can’t do is ignore them because they change things… they push the human race forward, and while some may see them as the crazy ones, we see genius, because the ones who are crazy enough to think that they can change the world, are the ones who do." 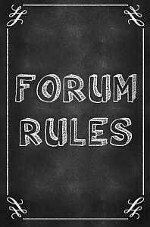 Before you post please take a moment to read our board rules on posting & personal conduct. Discussion of anything a-typical for a forum with every horizon imaginable. Member generated polls and links to external polls. Discussions Related to Transitions Toward an Expanding Cosmology. A forum for some unique disclosures regarding 'Seinu' passed to the OM Research Team as of March 2006.
discussion related to the Wingmakers material. Discussion about the UN, Vatican, and associated transnational level commentary referring to extraterrestrial contact as a stand alone topic. Support and discussion for OMF members to share personal experiences and information in a peer support environment. Discussions related to Globalism, National Security State, Conspiracy, Secret Societies, "Powers That Be" (PTB), their organization, and Influence. Discussion and news about new and continuing technologies and how they are or might be used. Special interest topic for those people who follow earth change activity including earthquakes, volcanos, floods, tornados, hurricanes, and biological events. For the discussion of Crop Circles old & new. For the discussion of Progressive Scepticism. Latest news, analysis, articles and events. With Gary Bekkum. Gary's organisation STARstream Research is a provider of intelligence and analysis on futuristic national and international defense, security and risk developments. Join longtime member Spacemaverick as he seeks insight into the ongoing crisis at Fukashima in Japan. Follow his latest research into the elusive information governments are too disturbed over to publicly discuss.